Alexandre Lacazette has passed his medical with Arsenal today, and an official announcement is expected in the coming hours. Arsenal are set to welcome their second signing of the transfer window, with the Lacazette deal in its final phase. The Lyon striker completed a medical earlier today at London Colney, the Arsenal training centre. Alexandre Lacazette medical @Arsenal completed. Paperwork being done, announcement to follow. 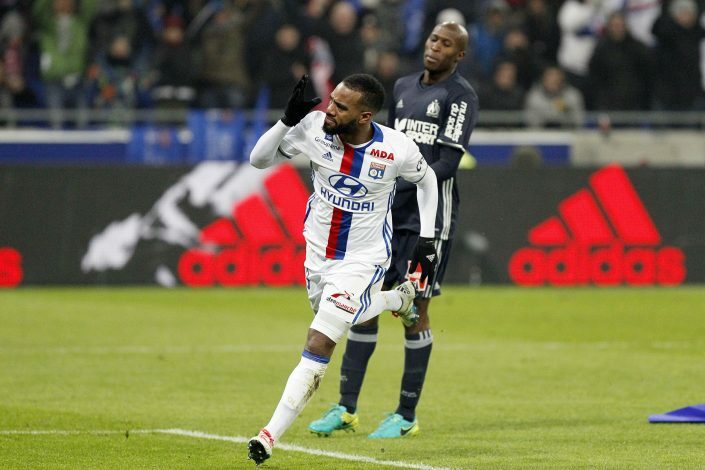 Lacazette, who had his Atletico transfer collapse earlier because of a transfer ban on the Spanish club, has accepted an offer from Arsenal following talks with his his fellow compatriot and club manager, Arsene Wenger. The Frenchman, who scored a total of 37 goals last season, has been one of most prolific strikers in the Europe over the years. The player is expected to add significant firepower to the attack of Arsenal, who had a disappointing season last year, when they failed to qualify for Champions League. Arsenal seem to have broken their all time transfer record, as the club has paid around £45 million to land the French international. Earlier, Mesut Ozil’s £42.5m move from Real Madrid to Arsenal in 2013 was the costliest transfer for the club. Lacazette, the Gunners’ soon-to-be second summer signing after Sead Kolasinac, is also expected to be made the top earner at Arsenal until Ozil and Sanchez sign new deals, with a weekly salary of £180,000-a-week. Meanwhile, Arsenal are working hard on recruiting other top class players to have a strong campaign in 2017/18, as players like Riyad Mahrez, Lemar, and Kylian Mbappe are strongly linked with the London-based club. Arsenal host Leicester City at the Emirates on the opening day of the season.